Heads up, LOCKN’! Want to buy your LOCKN’ tickets at the lowest available price? 2017 Early Bird Tickets are now on sale, but not for long. On Friday, January 6, ticket and camping prices will go up to the next price level. This year’s initial lineup includes: Widespread Panic, Umphrey’s McGee, TAUK, The Suffers, The String Cheese Incident, The Revivalists, Phil Lesh & Friends, Phil Lesh & The Terrapin Family Band performing the 40th Anniversary of Terrapin Station & more, Pigeons Playing Ping Pong, moe., Margo Price, Marcus King Band, Keller Williams, Keller Williams’ Grateful Gospel, John Butler Trio, Joe Russo’s Almost Dead, JJ Grey & Mofro, Greensky Bluegrass, Gov’t Mule, Eric Krasno Band, Los Colognes, Brandi Carlile and The Avett Brothers! ‘Nuff said. 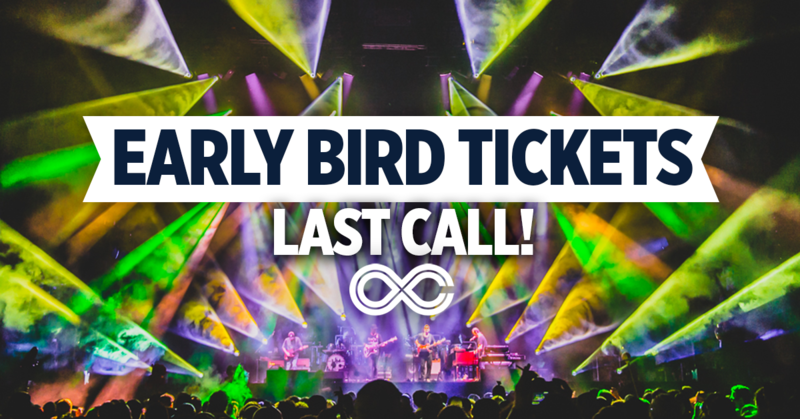 Don’t miss your chance to get your LOCKN’ tickets at our Early Bird prices. Buy yours today!